Delighted my installation has been featured in this years SSA Annual Exhibition. 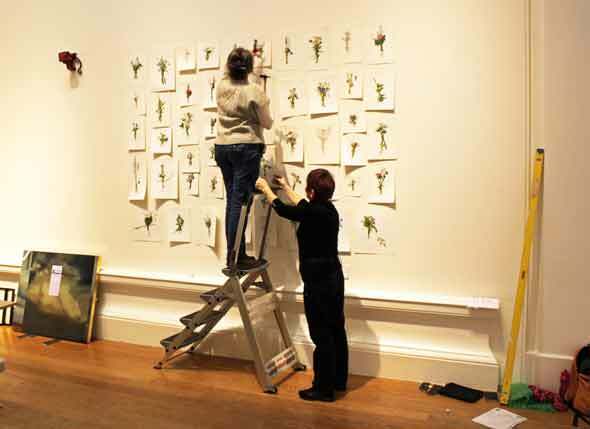 This installation consists of 45 paintings and 5 drawings on paper. 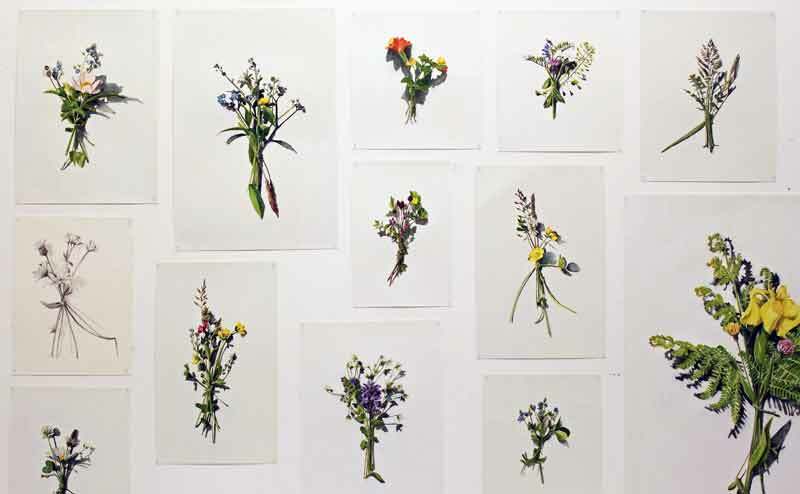 They are representational depictions of posies of wild flowers I have made and left around Scotland over the last couple of years, all painted to scale in watercolour. They are pinned to the wall at each corner with insect pins. The piece explores the significance of the flower posey as an offering to the gods, to the living and to the dead, celebrating their exquisite detail.